As Memorial Day weekend is drawing near...so is the grilling season! I am so pumped. So pumped. And I don't know about you guys but as the season changes I find I am having to teach myself how to cook with fresher ingredients again. The easiest way for me to get back into the warmer cooking days is to fire up that metal, outdoor oven. On this first Tasty Grillin Tuesday Series (how many in the series? I dunno. Just go with me.) I want to encourage you to throw as many things as will fit on that grill once you get it good and hot. Don't be wasteful with that charcoal. Yesterday I threw almost the entire contents of my refrigerator on and we will have meals for days. And hardly any prep time! We used all natural Cowboy brand charcoal for the first time...works pretty well. It got a little cool a little too fast. 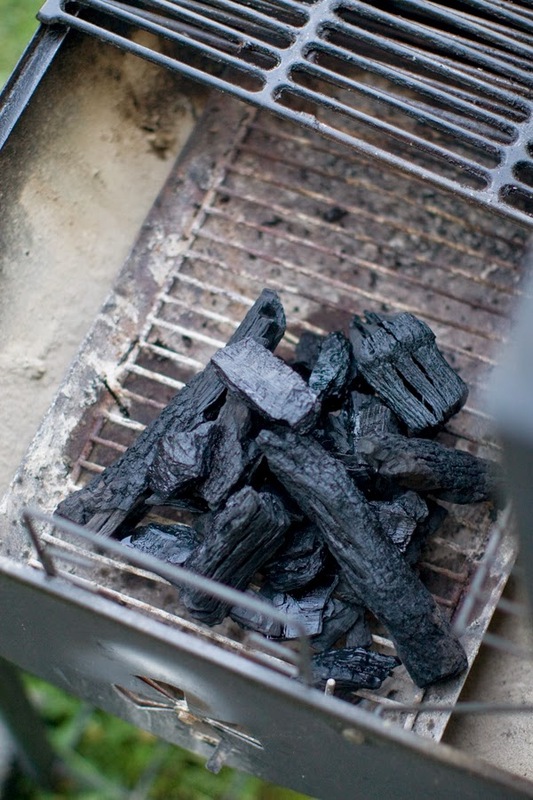 Maybe you have to use more than regular charcoal. 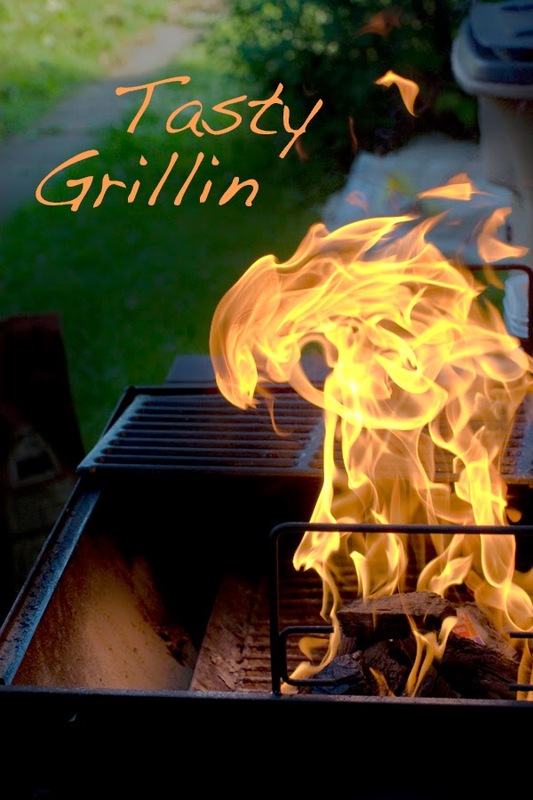 If you are new to grilling, just remember to pile the coals together tightly, let the lighter fluid soak in a bit if you are using any, after the coals are white hot and spread out a bit for even heat/larger cooking areas throw your grillers on! Meat thermometers are always a good investment no matter your expertise. Also, charcoal chimneys are supposed to be really helpful. My first meal off of this one grilling session: turkey burgers, steamed broccoli and sweet corn. The broccoli was a first for me. Treat the foil pouch like you would a pot: add a little water and salt to your chopped broccoli, seal and toss on the grill. By the time our burgers were done, so was the broccoli! Start your corn about 5-10 minutes sooner than your meat (total cook time 15-20 for the corn). My second meal is my lunch today: lettuce and kale from our garden, veggies from the kabobs, multi-color quinoa that I cooked while eating dinner from the grill, and 1/4 of one of the chicken breasts. 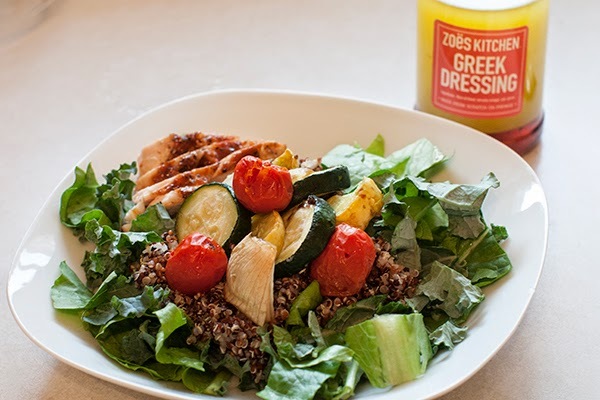 To top it all off is my favorite dressing from Zoe's Kitchen! 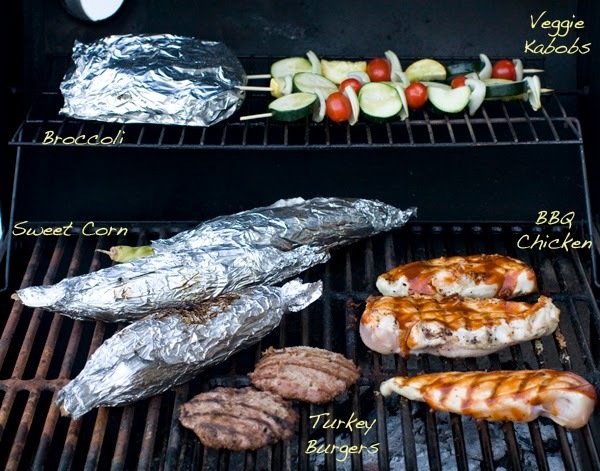 Be sure to check back in next Tuesday for another meal idea from this one night of grilling!